Analysis: The Goldin and Shaul families could’ve been spared the exchange of blows with the PM’s close circle if they only knew UN envoy Mladenov, who orchestrated the proposed ceasefire agreement, has packed his bags and gone on his annual vacation. Israel knows Mladenov’s ambitious plan has no chance. Now it hopes it can turn back time and go back to the days before the ‘March of Return’ campaign. If someone had told the Goldin and Shaul families that UN Special Envoy Nickolay Mladenov—the man behind the proposed ceasefire agreement between Israel and Hamas—has already left the region last weekend for his annual holiday, they may have been spared another exchange of blows with the Prime Minister’s Office and those unnamed Cabinet members who accused them of emotional blackmail. This is because if Mladenov decided to pack his bags and go, the chances of reaching an agreement are non-existent. The man wouldn’t have just up and left a life’s work to go on vacation if he thought for even a moment the plan he has been working on for a long time was going to be realized. This is how the government gets two birds with one stone: Getting the Gaza border residents on its side while at the same putting the failure on the Palestinians. After all, it’s not us who are rejecting the UN, US and Egyptian efforts to reach an agreement. On the contrary, Israel is even throwing Gaza a bone every now and again as a show of good will. We’re okay, it’s the Palestinians who don’t get along and torpedo every opportunity for a long-term agreement. As soon as the Egyptian plan was put on the table, there was no one in the Israeli defense establishment that gave it a chance. Mladenov’s plan—which centers on a $600 million investment in the Gaza Strip, with an additional $30 million added just last week—cannot be implemented without cooperation from the Palestinian Authority in Ramallah and without a commitment from Hamas to return Israel’s MIAs and POWs in one package deal. Even all of this money is not enough to heal the rift between Hamas and the PA. 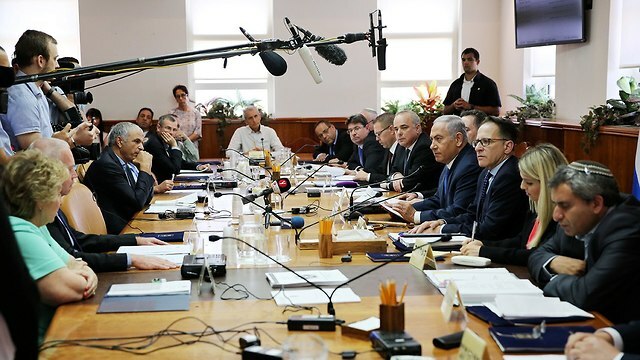 So it’s no wonder the Israeli government kept the discussions on the subject secret, including the “contrarian” ministers who realized it’s better to shut up and let the Palestinians mess up on their own. 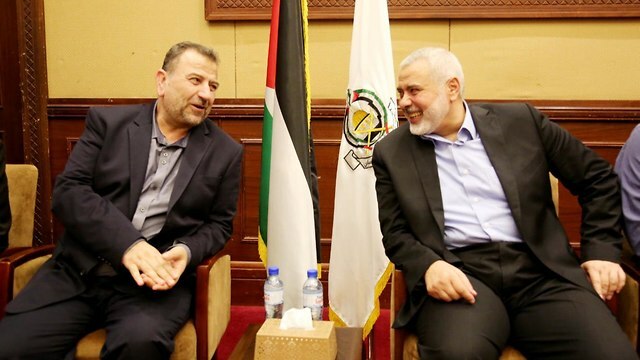 The Hamas leadership’s visit to Gaza—led by the organization’s no.2 Saleh al-Arouri—and the convening of the Shura Council on Sunday, gave the sense that Hamas was about to make a decision on a long-term ceasefire with Israel. 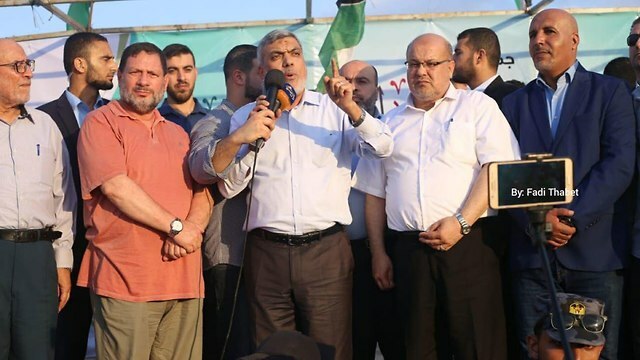 Hamas did want that, and essentially accepted the five-clause plan for reconciliation with the PA, but like Fatah’s Jibril Rajoub said last week—you need two hands to clap. Mahmoud Abbas, on his part, didn’t even think about accepting the Egyptian plan, as according to it he is the one who is supposed to clean up the streets in Gaza, while Hamas gets all the glory as the defender of the Palestinian people. If we’re responsible over the strip, he explained to his people, and Hamas fires rockets at Israel, who are the Israelis going to attack? Who is the world going to blame? Us. Israel doesn’t believe Hamas. Not about a short-term truce or about a long-term one. It also doesn’t want a Palestinian unity government, a Palestinian sea port, and other fantasies. Israel wants to go back to March 29, before the “March of Return” protests on the Gaza border began, and this is probably what’s going to happen. But in order to return to that point, we need to convince Abbas to release the salaries to the Gaza Strip. This basic thing will give Hamas economic relief and lower the level of discontent on the Gaza street. Israel has already been able to convince the PA to release some salaries to Gaza, and it will certainly make an effort in this regard now as well. Israel can’t force the Egyptians to open the Rafah border crossing, but it’ll open the crossings in Kerem Shalom and Erez in the same format they were opened before the “March of Return” clashes. In return, Hamas is supposed to go back to its conduct before March 29. But if even that can’t be achieved, we’ll have to prepare for a possible war in the strip.